The election for DNC Chair & Officers will take place at the DNC Winter Meeting February 23-26 in Atlanta, Georgia and the team we choose will have to lead a constituency far greater than just the Democratic Party. Whether online, on television or in-person, all eyes will be on Atlanta, and the choice of our next Party Chair and direction. To provide an opportunity for the candidates, DNC members, electeds and supporters to mingle before the final vote, the Democratic Municipal Officials (DMO) is hosting a reception on Friday, February 24th. Join Coca-Cola and DemList as event Sponsors - which includes recognition on all event materials, signage and social media, guest tickets and an opportunity to speak at the reception! 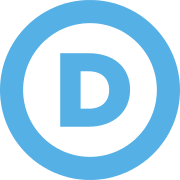 The Democratic Municipal Officials (DMO) is a non-profit (527) political organization that represents the interests of over 40,000 elected Mayors, City Council Members, and other elected Democratic Municipal Officials. DMO was founded in 1988 and has state chapters in more than 30 states. DMO offers a suite of resources, including political trainings, education, webinars, strategy and policy counsel to its members, as well as connections to municipal candidates across the country. DNC Future Forum #2 w/Candidates for Chair this Saturday in Houston! We will see you in Atlanta!